In the end, Republican Gov. 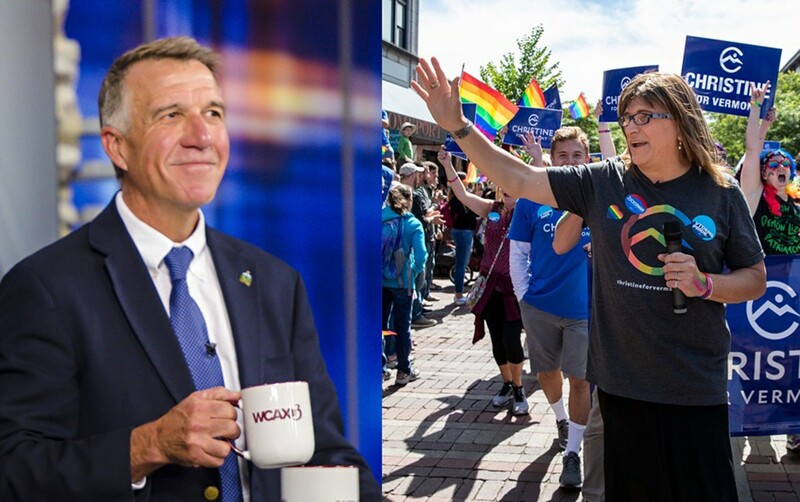 Phil Scott and his Democratic challenger, Christine Hallquist, were both outspent in Vermont's 2018 gubernatorial race. Reports filed Tuesday with the Secretary of State's Office show that the biggest spender was A Stronger Vermont, a political action committee funded by the Republican Governors Association. The super PAC doled out $826,366, mostly on pro-Scott television advertisements, including $101,396 in the closing days of the campaign. Scott, who defeated Hallquist by a margin of 54 to 40 percent, raised $719,956 during his reelection campaign and spent $617,201 of it, according to his latest filing. Hallquist, a first-time candidate for public office, raised $590,719 and spent $563,422. The reports are the first required of Vermont candidates since November 2, days before the November 6 election. Those who continue to raise or spend money must file one more report in December. Compared to the 2016 gubernatorial race, 2018 was a relatively low-budget affair. Two years ago, Democratic nominee Sue Minter spent more than $2 million on her unsuccessful run for governor, while Scott spent more than $1.6 million. Outside groups also ponied up far more that year. The RGA super PAC spent more than $3 million backing Scott in 2016, while a super PAC funded by the Democratic Governors Association spent nearly $1.4 million. In 2018, the Democratic group sat out the Vermont gubernatorial race. In the race for lieutenant governor, Rep. Don Turner (R-Milton) raised $296,866 and spent $273,620. The Progressive and Democratic incumbent, Lt. Gov. David Zuckerman, raised $195,761 and spent $159,191. Zuckerman defeated Turner by a margin of 57 to 39 percent.